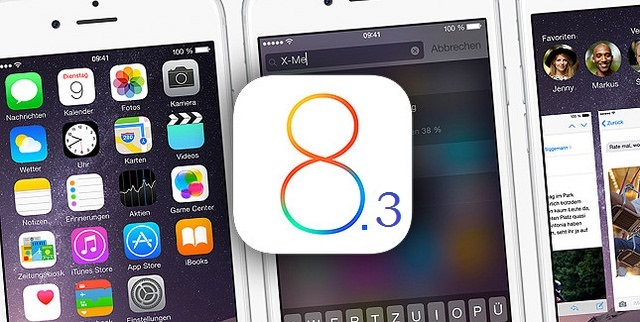 Fresh OS X 10.10.3 and iOS 8.3 betas show Apple broadening its latest innovation rollouts. Apple introduced the world to Force Touch technology when it unveiled Apple Watch last September, but delivered it first on the Mac. Mac developers now have access to Force Touch APIs via OS X 10.10.3, just seeded to the community. Never underestimate Apple’s ability to surprise and delight. The new MacBook with Force Touch ships April 10 and, of course, Apple Watch with Force Touch arrives April 24 — Americans know just what to do with their tax refunds! Now, TechCrunch reports the latest wrinkle in Apple’s ongoing wave of innovations — iOS 8.3 beta three clearly shows that Apple intends to make Messages a centerpoint of digital communications strategy. For example, iOS 8 Messages can now optionally be split into two columns, with one for known contacts and one for others. A simple change that can greatly facilitate efficiency, separating the SMS wheat from the unsolicited SPAM chaff. However, it also helps you more easily pick gems from that second column, as well as other preconfigured message groups — smart stuff. Messages in iOS 8.3 beta 3 allows the user to easily mark senders and messages as junk. Guys and gals, you too can take part or, at the least, apply for the chance, to take part in the iOS 8.3 third beta. Anyone can signup — here’s how! If you haven’t registered with Apple’s Apple Seed Beta Software Program — sign up here. Once you’re been accepted, head over to the Apple Seed website and login with iOS device and then enroll in the iOS 8 public beta program. Thereafter you will be instructed to download and install a program certificate that resides in your iThing’s system — via LifeHacker.